You may need a report which considers information from different modules. For example: One report that contains the financial transactions of a purchase order linked to a project. 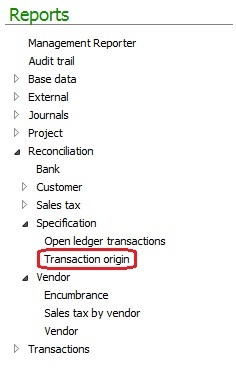 The report dialog box will open, where you can mark the transactions that you want included in the report. 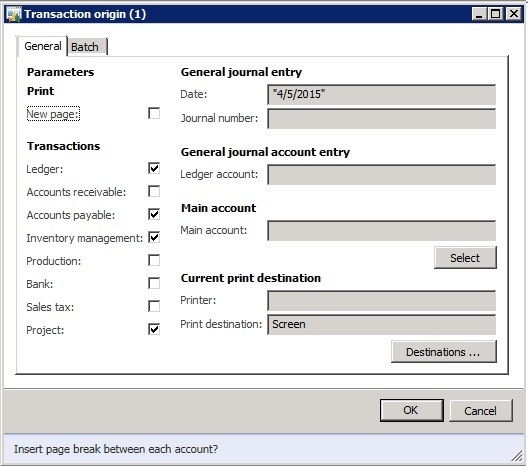 In this example the generated report contains the main accounts, Vendor ID, Project ID, and Item ID, in addition to the voucher number, and journal number.